Click the link below for a text only web page. Hey, where can I find Osiris Rising music? Most of the major retailers are listed in the MUSIC page linked above. Links to CDBaby and Amazon are also provided in every sidebar on this site. The album Diluting The Gene Pool by Osiris Rising is available in the iTunes store. You can also find Osiris Rising on Spotify and Google Play Music. Assorted web swag and widgets are now available with copy and paste code found at the "Widgets" link above. Even more tee shirt designs are now available for guys and girls through cafepress.com. An 11x17 Osiris Rising talisman icon 'inferno' poster and an all new logo sticker are also available. The first ever 'Diluting The Gene Pool' themed t-shirts are tentatively planned for a future release. 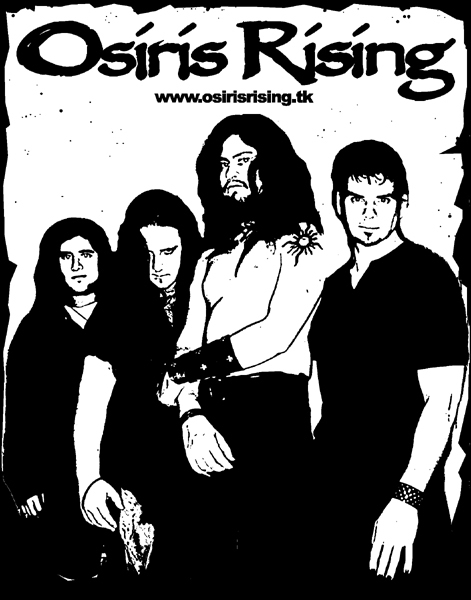 A list of past Osiris Rising live shows has been posted, link. Detailed live performance archives can be found at Last.fm and Reverbnation.com. 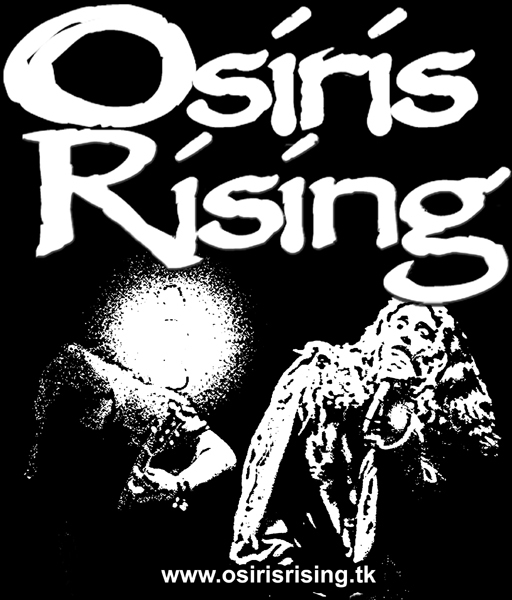 Fact: Osiris Rising would occationaly cover (perform live) the songs 'Sober' by Tool and 'War Pigs' by Black Sabbath. All Osiris Rising music from the album Diluting The Gene Pool is approved for Podcast use. Make sure you purchased the authentic CD release of 'Diluting The Gene Pool'. If you did not purchase the CD from one of our online merchants, or from a concert event, you may have a bootleg version. Authentic versions can be purchased from the online stores linked on this site. The band's blog articles finally earned an index page and RSS feed. Left-over tour merch found on our old merchandise page is completely out of stock. However the online store CafePress carries all of Osiris Rising's current merchandise and always has stock. This website is best viewed at a minimum horizontal (width) of 1024px screen resolution. 2005 full length studio album.